Will Sylvester Stallone Appear in Guardians of the Galaxy 2? Will Sylvester Stallone Appear in Guardians of the Galaxy Vol. 2 in a Familiar Costume? Last week, the New York Daily News published photos of Rocky himself, Sylvester Stallone, claiming he was headed to the set of Guardians of the Galaxy Vol. 2 with a script in tow. 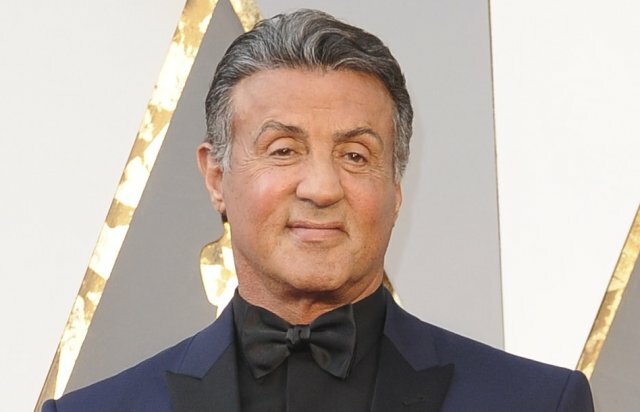 No confirmation ever came for whether the actor has a role in the film, but a new report claims that not only will Stallone appear in the film, but he’ll be sporting a familiar costume. Again, spoiler warning. On Location Vacations reports from a source that Stallone has a role in Guardians of the Galaxy Vol. 2 and that his costume “looks a lot like Judge Dredd,” the comic book character that Stallone previously played in the 1995 adaptation. Dredd, of course, is not a Marvel Comics character, so should Stallone appear in the film dressed in a similar outfit, it’s simply for the enjoyment of fans and not an actual appearance by the 2000 AD character. It is possible that Stallone could be a new member of the Nova Corps in the film, as the two costumes share similarities. In addition, OLV reports that a scene was filmed last week that included everyone’s favorite fowl Marvel character, Howard the Duck, marking his return after the first film’s post-credit scene. Check back for confirmation on this as we learn it. Written and directed by James Gunn, Guardians of the Galaxy Vol. 2 stars Chris Pratt as Peter Quill/Star-Lord; Zoe Saldana as Gamora; Dave Bautista as Drax; Vin Diesel as the voice of Groot; Bradley Cooper as the voice of Rocket; Michael Rooker as Yondu; Karen Gillan as Nebula; and Sean Gunn as Kraglin. New cast members include Pom Klementieff, who plays Mantis, Elizabeth Debicki , Chris Sullivan and Kurt Russell. The film will debut in theaters on May 5, 2017.